Early this year I finally obtained confirmation to go to the St. Maarten Heineken Regatta after many years of seeing stunning photos of previous challenges on this lively Caribbean island. Coming to this regatta is like going to a fraternity party, especially meeting all kinds of people who are there for the party atmosphere. In early March, people from all over descend on this island paradise to take part in this gathering of racing yachts, competing separately in 18 different classes. This three-day extravaganza is full of action from daybreak to sundown, with fellow yachtsmen coming not only to sail, but to revel in music and experience the nightly festivities. While the competition is intense on the water, the party atmosphere takes over at twilight with plenty of food, drink and live music. 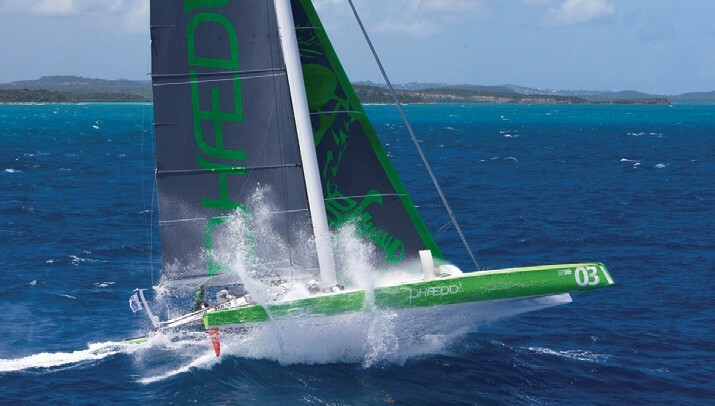 The Heineken Regatta’s first race is the six-hour, 35-mile Around the Island Race that starts and ends at Simpson Bay. This international competition attracts sailors of all levels of ability who come to St. Maarten for the ideal weather for boating, sportsmanship, and camaraderie. After the racing, the Prime Minister of St. Maarten, the Honorable Marcel Gumbs, mingled with the crowds along the boardwalk in Philipsburg to celebrate the spectacular 35th year of this exciting island event. The most distinguished figure at the regatta, he chatted with guests and locals before the finale, and presented the awards to notables including Sir Bobby Velasquez, whose Beneteau 45FS L’Esperance (St. Maarten) received the Most Worthy Performance Overall trophy. But the real excitement happens in the throes of competition. The momentum builds as contenders try to live up to the regatta’s motto of having “Serious Fun” as part of the spirit of racing. On the second day, the movement was quick with crew huffing and puffing to tack sharply. Barely 15 minutes into the race, my heart almost skipped a beat as I watched a 25-knot shoreline tacking duel. On board, the grinding was considerably faster as the level of intensity rose, and all of these actions seemed surreal as crews and spectators alike got a real sense of being in the moment. In a split second, one crew lost control in the bellowing winds, and I felt their humiliation as their mainsail ripped in half. The action was even more intense on the last day of racing, with fantastic, breezy conditions testing the mettle of even the best teams. The opportunity to race in St. Maarten in an event with 2,000 participants turned out to be a tremendous spectacle that did not disappoint. This massive gathering is probably the largest racing fleet in the Caribbean this season. On the other side of the causeway in Simpson Bay Lagoon, I found that the premier Caribbean resort, the Princess Port de Plaisance, was sponsoring one of most interesting classes in the regatta, the Gunboat catamarans. I took a water taxi to this exclusive Yacht Club at Port de Plaisance, which offers convenient, secure and first-class dockage for megayachts. 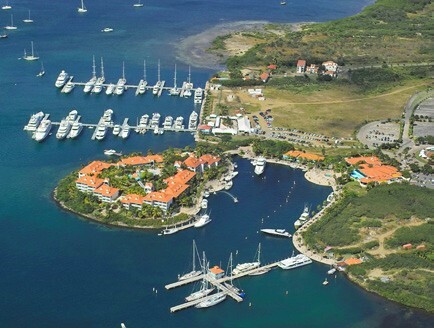 A full-service marina, the Yacht Club serves as a homeport by passengers, captains and crews while they take excursions through the Leeward and Windward Islands. More than twenty yachts from 40 to 280 feet were docked at the Yacht Club for this year’s Heineken Regatta. According to Manager Jesse Peterson, the Yacht Club is popularly known as the Country Club and offers on-site amenities with five-star service. As St. Maarten’s second largest marina, the facility is ideal, he says, for yachting guests have full privileges to use the resort’s hotel, restaurants, casino and spa. Undoubtedly, these benefits enhance the experiences for those individuals looking for an enjoyable stay at the resort during the regatta. Peter Clements from Greenwich, CT, who has done several Heineken Regattas, makes it a point to stay at this resort. “Every year it is a lot of fun staying at PDP and taking part in the Heineken Regatta with so much variety in competition and excellent weather conditions,” said Peter, who was competing on a 62-foot catamaran. Near the Yacht Club, I found the Princess Casino where I met Marketing Manager Yannick Guarinos, who warmly greets and welcomes guests personally. Over the years, he’s seen how PDP has become a favorite retreat of individuals who come to unwind and enjoy the magnificent views of megayachts sailing out to sea. Yannick says the Heineken Regatta brings out the best in yacht racing and attracts a good mix of individuals for fun and excitement. At Port de Plaisance, the lush tropical landscape and the sparkling lagoon provide a perfect backdrop to this exclusive Caribbean resort. Once inside the casino, I wouldn’t consider combining sailing with lady luck anywhere else. Deirdre Frost has covered travel for Travel World News and other trade publications. She makes her home in Norwalk, CT where she enjoys sailing on Long Island Sound. A passionate traveler, she writes on adventure and luxury resorts in the Caribbean, Europe, and North America.